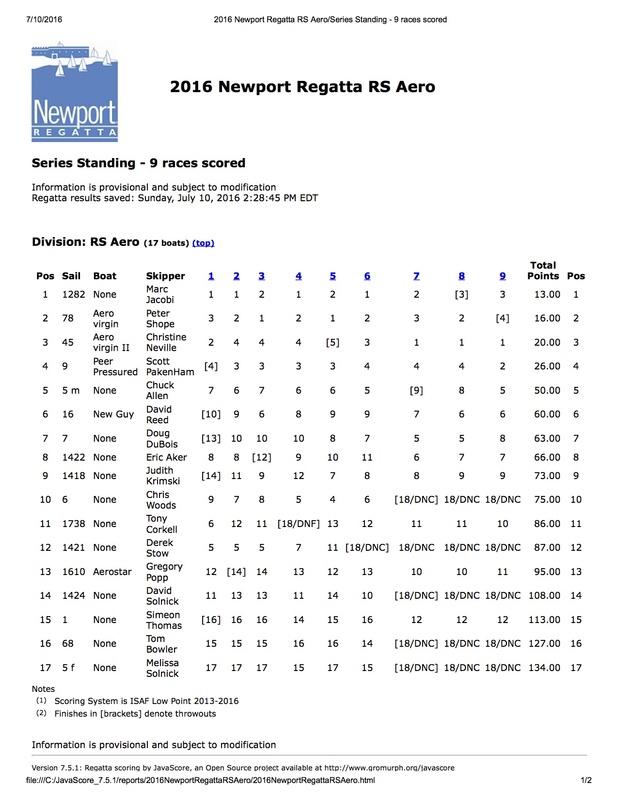 The inaugural RS Aero Atlantic Coast Championship (held in conjunction with the Newport Regatta, Newport (RI) was a successful event! 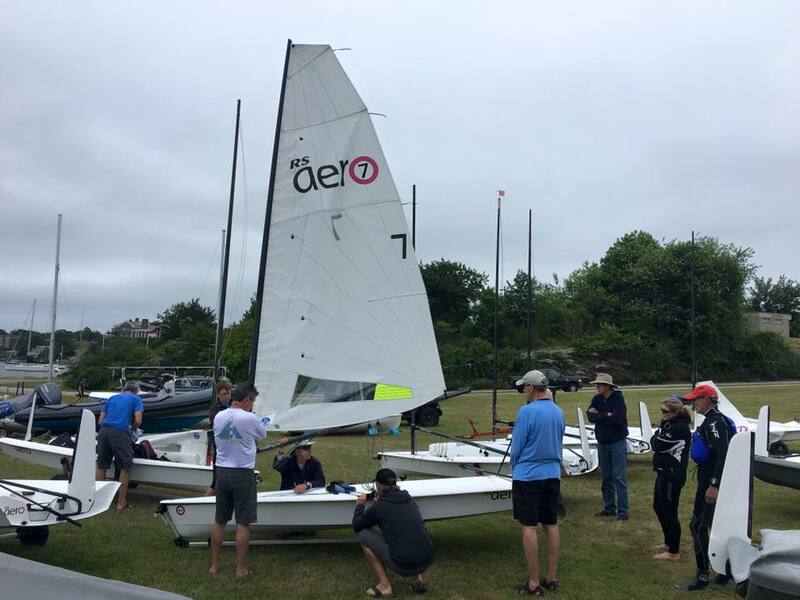 A clinic on Friday gave 10 attendees a chance to get to know each other, share rigging/sailing tips, and dust off the cobwebs with practice starts and even a few practice races. If only we had that much breeze for the actual racing! Our circle was set in the lee of Goat Island, making for shifty, variable 5-10 knot wind and lots of tidal influence to challenge the SEVENTEEN (17!) Aeros present. 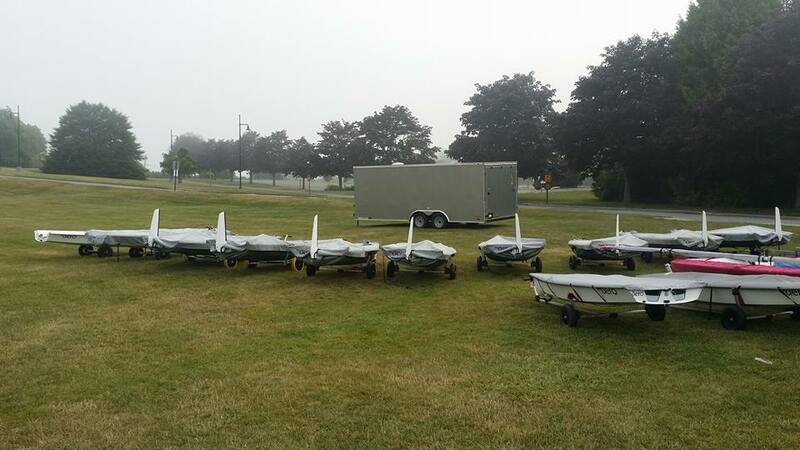 We had five "9" rigs in the fleet, which proved very fast in the light and variable conditions; most comments here will relate to my racing with them. Peter Shope (2015 Laser Grand Master World Champion), Christine Neville (2016 Laser US Olympic Aspirant) and Scott Pakenham proved to be quick studies, having no trouble beating yours truly to the first mark in most races. Christine and Peter generally had fine starts, while Scott played the shifts beautifully. I was a bit lax at the starts (those who read this blog can recognize the trend) and frequently had trouble going the way I wanted or taking full advantage of shifts as a result. Lots of experimentation went on downwind, with Christine most willing to sail higher angles but not seeming to be rewarded. The wind wasn't quite strong enough to plane while broad reaching, meaning those who stayed in pressure and pointed the boat more to the mark saw bigger gains. Peter was especially quick, gybing frequently and decisively going for bands of pressure and fast angles. I think many people gybed too soon after rounding the weather mark, keeping them in the lee of the buildings and boats on the starboard tack layline. I tried to soak down on starboard for a few lengths before gybing, and that generally went well. Shope loves to foot upwind, and in an oscillating breeze that can be devastatingly fast, but I had success at times using the Aero's high and a little bit slower mode to hold lanes off the start and to stay in bands of pressure longer. The boat's incredible acceleration and speed when cracked off offers many tactical options not available on other boats--lots to learn about! It was also a long day, with 6 races being run by the RC and little time to regroup in between. Going into Sunday I led with 4 firsts and 2 seconds (8 points), Shope was in 2nd with 8, steady-as-she-goes Scott showing 16 in 3rd with Christine only one point back. 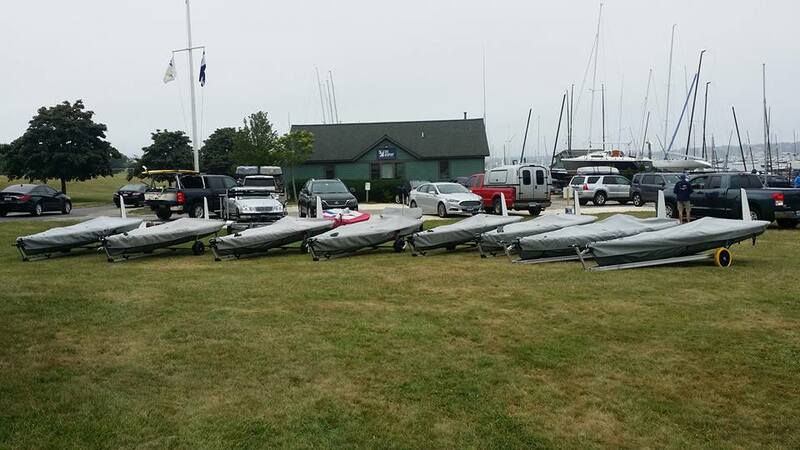 With an unlimited number of potential races and a second throwout looming at 12, it was anyone's regatta! Check out Marc's blog HERE. It's all about fine hats, worn out hikers and the love of small boat racing!